In February, 1991, the Broward Performing Arts Center opened on the North side of the river as the anchor for the western end of what the city was developing and calling the Riverwalk as a major tourist attraction. I went to the BPAC opening attraction which was “Phantom of the Opera” and was really impressed by the building particularly when it was all lit up at night. The second show I saw there was in May of that year was “A Chorus Line” and went 3 times--for those who aren’t aware “ACL” is my favorite show of all times having seen it on various stages all over the USA 101 times. Now 23 years later it is being given a major overhaul in the millions of dollars, not only to the original 2 buildings, one being the Au-Renee theatre which sits 2,700 people and the other the Amaturo Theatre which has a 600 sit capacity but they are adding a major restaurant, rehearsal hall and banquet room in an additional building on the waterfront. I have lost count of how many shows I have seen at the Au-Renee which presents the touring Broadway shows, special events and star concerts. In the smaller Amaturo I have seen “Forbidden Broadway”, concerts by the Gay Men’s Chorus, Alvin Ailey dance recital plus other shows. This coming season I will be seeing: Annie, The Phantom of the Opera (23 years later), The Lion King, Motown, Pippin, Anything Goes and the Cirque Dreams in the Au-Renee auditorium. 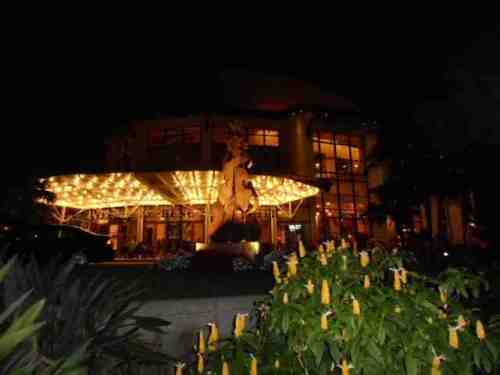 The whole complex is a showcase for the arts of Fort Lauderdale and a night out there is really special. Too bad the Riverwalk still hasn’t been completed and has been somewhat of a bust due to the city not holding enough events there and the high cost of parking but with the allure of the major shopping and restaurant Los Olas Bouvelard hopefully it will be what was envisioned for it for so many years. Between the Broward Performing Arts Center and the Discovery Museum Center across the street from it this is a must see for anyone who comes to visit me. Hey, maybe in February 2016, when I celebrate my 20th Leap year birthday they will have “A Chorus Line” again and we can all go!